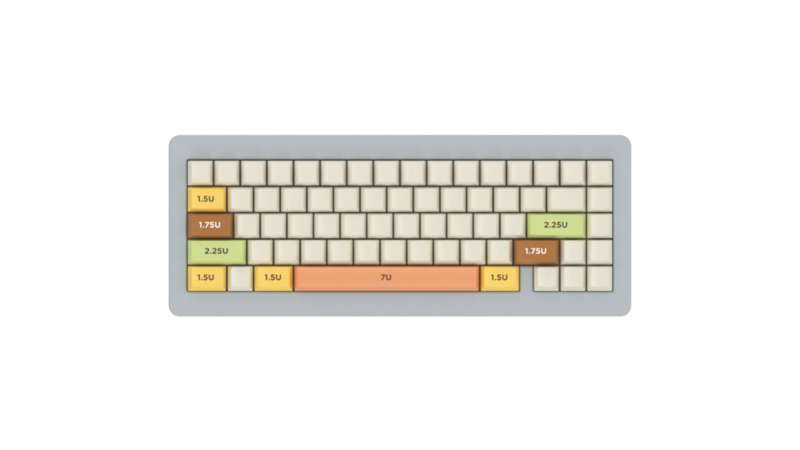 Please see the images below to see which size keycaps you will need for this keyboard! For these three keycaps you’ll need stabilisers. The two, outer, smaller caps will need 2U Stabilisers. For the spacebar you’ll need a 7U Stabiliser.